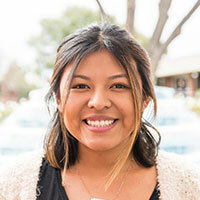 The Biola community encompasses far more than students, faculty and staff. Thank you for praying for and standing with us year after year! Your faithfulness and generous financial support makes it possible for us to continue equipping men and women in mind and character to impact the world—near and far—for the Lord Jesus Christ. In a country where money is the number one cause of stress and anxiety, it is a tremendous blessing to be able to study Accounting and Financial Planning at Biola and to have professors who are not only experienced but also care about their students. I know that will eventually allow me to use my knowledge of finance not for personal benefit but for the glory of God! I am continually thankful and aware that this education would be far from possible without the generosity of so many faithful donors. Your support goes far beyond financial gifts, it helps and encourages students like me to pursue a Christ-centered higher education so we may be lights in the world and to the people around us. Thank you so much for your kindness and generosity! On July 1, 2018, Biola launched its ninth school, the School of Cinema and Media Arts. Located less than 25 miles from Hollywood, and with a proven track record in the field, Biola is poised to introduce new undergraduate degrees and concentrations in areas such as acting, film, scoring, cinematography and directing. Thanks to continued donor and board support, Biola is moving ahead with plans to renovate the school's existing production center and construct a new state-of-the-art, 52,000 square-foot building that will house a screening theater capable of seating 285, several sound stages, recording and editing rooms, two computer labs, two screening classrooms and 21 faculty and staff offices. Made possible through a generous commitment by a Biola family in December 2018, Biola will have its first fully funded endowed chair. This $2.5 million gift will fund The Rosa Chair in Molecular Biology in Biola’s School of Science, Technology and Health (SSTH). Endowed chairs are positions permanently funded by the revenue from an endowment that was created for that purpose, and SSTH hopes to establish additional chairs in various disciplines in the future. Endowed chairs allow universities to recruit and hire the best and brightest faculty members, keep operational costs down due to funding from outside the budget and increase the school’s prominence in the area of the endowed chair. 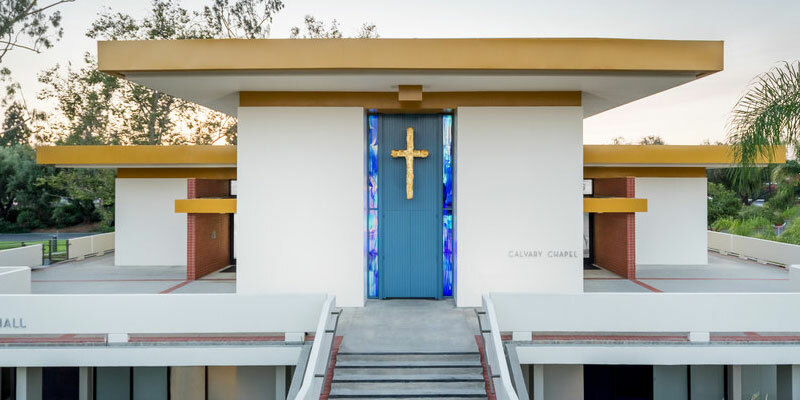 In the spring and summer of 2018, Calvary Chapel underwent an artistic renovation. 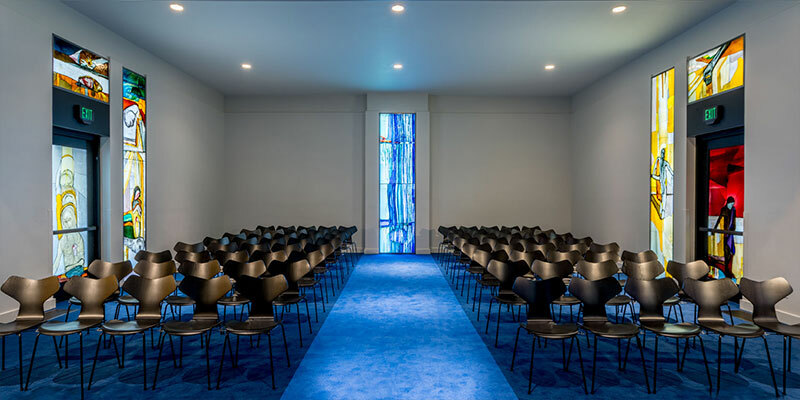 World-renowned Danish artists Peter Brandes and Maja Lisa Engelhardt collaborated together for the first time in their careers to add a new dimension of sacred space, reverence and beauty to Calvary Chapel. 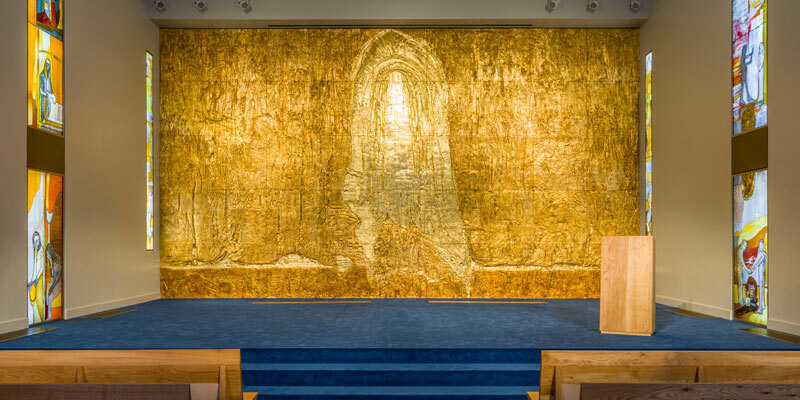 The newly renovated space was dedicated September 7, 2018, in a worship service expounding on the themes throughout the 32 hand-cut stained glass windows and the gilded relief sculpture titled “Resurrection,” installed on the entire west wall. We did it! All of us for all students! Thank you! Your generous support in 2018 is being felt across campus and around the world. We exceeded the day's goal of 1,000 donors and together we raised a total of $269,411 to help subsidize tuition through the Biola Fund For All Students! Your support on Giving Tuesday is creating a more affordable Biola for our students as the Biola Fund is helping subsidize tuition by $3,900 for each and every student this academic year. 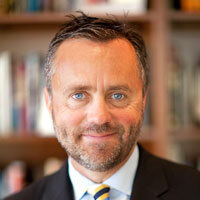 Thank you for your generosity and for championing a more affordable Biola. Thank you! Your generous support in 2018 is being felt across campus and around the world. 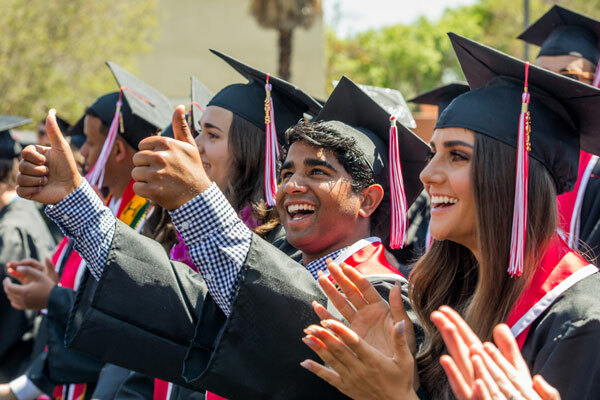 Because of you, 1,500 students completed their degrees at Biola University in 2018.